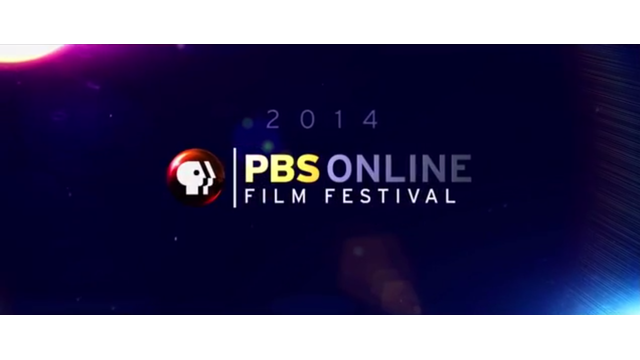 What is the PBS Online Film Festival? For the third annual PBS Online Film Festival, PBS is featuring 25 short films online from June 16 - July 31, 2014. The PBS Online Film Festival showcases diverse films from Independent Lens and POV, as well as collaborations with public television producers, including the Center for Asian American Media,Latino Public Broadcasting (LPB), National Black Programming Consortium (NBPC), Pacific Islanders in Communications (PIC), and Vision Maker Media. The festival highlights powerful stories from filmmakers across the country, while also providing an opportunity for producers to reach and engage a digitally-savvy audience. In its first two years, the festival garnered more than one million video streams and more than 50,000 votes. This year’s selection features several locally produced short films from a variety of local PBS stations, including: Alaska Public Media, Arkansas Educational Television Network (AETN), CET/ThinkTV (Cincinnati/Dayton),KLRU (Austin, TX), KQED (San Francisco),Louisiana Public Broadcasting,Vermont PBS, Wisconsin Media Lab and WCVE (Richmond, VA). The films will be available for streaming across all PBS digital platforms, including PBS.org, AppleTV, Roku, YouTube and PBS social media channels. Viewers are encouraged to vote for their favorite film to win the “People’s Choice” award. For updates on the festival, follow #PBSolff on Twitter. Being a teenager isn’t easy, especially for Nayla, a Muslim-American girl who wants to join her high school’s cheerleading squad. Vince Womack has built a high school jazz powerhouse in one of L.A.’s toughest districts. Three brave young New Yorkers reveal what it’s like to grow up without having legal immigration status. A young man sits Shiva, mourns for his father’s death with strangers from the Internet. Vaine escapes her brutish “protector” and shares a daily, wordless love play with Tamatoa. Overpass Light Brigade tells the story behind Wisconsin’s Holders of the Lights.